Get your hockey on with Super Blood Hockey when it comes to Nintendo Switch in April and consoles in Q2 2019. Check it out, hockey fans – it's a cartoony mix brutality and sportiness, coming to Xbox One, PlayStation 4, and Nintendo Switch. Digerati and developer Loren Lemcke have been working on a retro-tinged hockey game with all the pixelated violence you could possibly ask form and it's called Super Blood Hockey. The arcade action seen in the game will come to Switch first this April, while it will hit other consoles sometime in Q2 2019, though there's no official date for its arrival just yet. Basically, it's an arcade hockey game with overly violent tendencies, which sounds kind of awesome, even as a non-hockey fan. You can customize your team and then take to the ice with some powerful, brutal moves that will test you and your opponents. There are various different challenges, including global tournaments, as well as 12 v 12 Mega Rumbles. Plenty of ways to get out there on the ice and make your opponents sweat – even in the cold area like the hockey rink! The game's already up for grabs on Steam, but the console versions will add some great reasons to give it a try on another platform – particularly, its new Franchise Mode, which puts players in the shoes of a corrupt coach who brings in players from prison, uses illegal drugs, gets rid of injured teammates, and uses other shady tactics to come out on top. 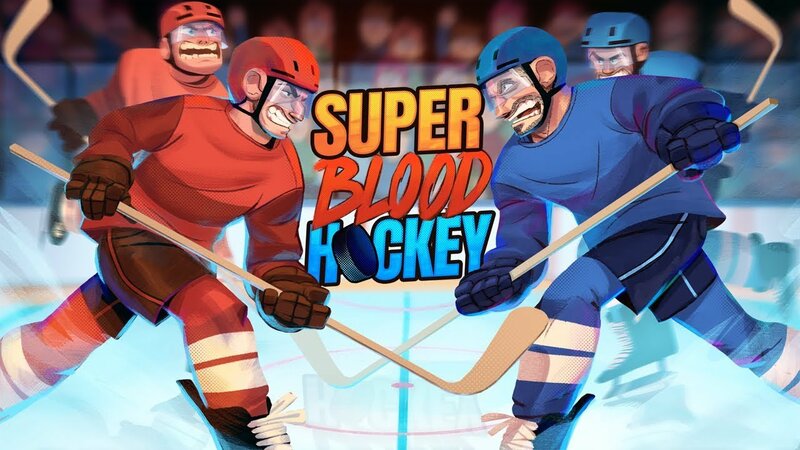 If the only way you can enjoy a hockey game is watching players beat the stuffing out of each other, you'll want to keep your eye on Super Blood Hockey for sure – it's an awesome-looking title that we definitely want to get our hands on when it reaches Early Access. I’ll take it because EA is too stupid to put NHL on Switch.